Wargaming.net has a lot of experience on strategy games, but now they're changing topics. 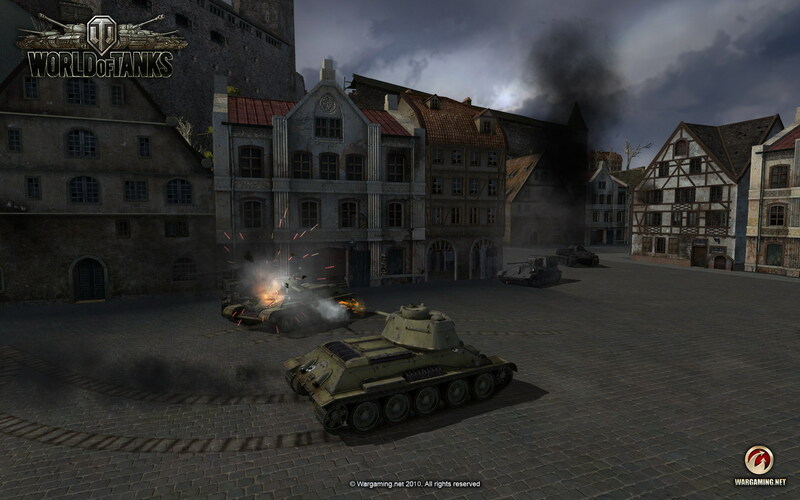 World of Tanks is a free MMO game that features historically accurate tanks and is frantic and fun to play. Free MMO Station spoke with Alex Shilyaev, project-manager, to learn everything about World of Tanks. Could you please introduce yourself and your role on World of Tanks? Hi, my name is Alex Shilyaev. I’m the project-manager on World of Tanks. As for my role, well… it is significant 🙂 not an easy one, but it’s full of challenges – and that’s what makes it rewarding. I plan and coordinate the workflow of all departments (art, sound, programming, game and level design etc.) to ensure all these separate components of the game function as a single mechanism. Judging by your previous games, at Wargaming.net you’re huge strategy fans. How did you come up with the idea for World of Tanks, and why did you decide to create a frantic action MMO game? Well yeah, we have a balanced team of “battle-hardened» veterans (who made their first steps in the industry back in 90’s) and rather ambitious young blood craving for new experience and are all united by one passion – playing and making STRATEGY games. Meanwhile, we would never stuck to one particular genre shifting from turn-based projects (DBA Online and Massive Assault series) to real-time field (Order of War and Order of War: Challenge). Stepping into the MMO genre is a new challenge and an excellent chance for us to expand experience and win new audience. Why tanks? I’ll reveal a secret – about 3 years ago we started making a traditional orks&elves MMO but then realized that developing a “one-among-many” fantasy game is not what we really wanted. Brainstorming a new possible setting suggested that a tank “theme” was the most appropriate option for us – as we know a lot (if not everything 🙂 ) about tanks and have expertise in creating huge armored battles. Why did you choose the WWII setting and not a contemporary, maybe even a futuristic one? Galactic Assault so we thought that a gulp of fresh air would be a good idea. Is there a fully developed campaign mode or just maps for players to fight against each other? Right now we have some “basic” deathmatch gameplay ready with random battles on different locations and team battles are soon to come. We are also planning to launch a never-ending campaign with Clan Wars unfolding on the Global Map. The next thing we will do on completing the Global Campaign is introducing historical missions – series of battles set up on the maps close to their historical prototypes where only specific models of tanks will be allowed. Can you describe some of the missions available, and what exactly is the Clan Wars mode? As I’ve already mentioned above we have no story-driven missions by now – just single skirmishes where capturing the flag or eliminating the enemy are the only winning conditions. As for the Clan Wars, we’re planning to introduce a Global Map with a particular part of the Earth, say, Europe that will be split into certain districts. Clans (or blocks of them) will be fighting for these provinces. In the course of time we’ll add other continents so there’ll be a chance to take part in battles for superiority somewhere in the desert areas of Africa or tropical jungles of Asia. To form up a clan one should gather a team of at least 15 players with up to 100 participants. Joining a clan will open new opportunities for the player – he’ll get access to better tanks, new perks and benefits. However, those willing to stay away from clan membership will be free to act as Mercenaries that could be recruited by clans on special occasions. Diplomacy will play an important part in Clan Wars as there would be various options available – non-aggression pacts, mutual aid treaties, intelligence sharing or free pass for allied armies. The teaser videos show some humor, but will the game also feature this humor or will it be a more serious affair? Of course, World of Tanks will have its share of humor. However, right now we have other priority targets on our “to do” list and are focused on more serious tasks. So we’ll probably start hiding Easter eggs some time closer to the release date. Anyway, we’ll make sure that exploring remote parts of a map will bring in extra thrill and fun. Still even now our programmers tend to think out some new features – and if we find them really funny they’re added. The tanks are said to be historically accurate. What about the maps, were they created with similar attention to history, or were they designed with fun and playability in mind? We are not making 100% historically accurate maps yet. You know, a map is a rather expensive piece of content, and if, for instance, we make a replica of Prokhorovka – it will be suitable for a rather limited number of provinces. In the meanwhile, Prokhorovka in our game preserves the combat scheme and the atmosphere of the real battle, while fun and playability are the things we keep in mind while working on maps. Do the tanks and environments feature destruction models? And will the damaged tanks suffer in terms of performance – speed, shot accuracy, and such? We already have destruction models for vehicles implemented in the game. If the engine is broken – a tank stops and some repairs done by the crew is needed. We introduced the repair function to avoid situations when two half-dead tanks are stuck in different parts of a map and are hopelessly waiting for the outcome of a battle. If the engine suffers a 50%-damage – it works at its half power. The same goes about other modules of a tank – a damaged gun will fire with decreased accuracy or a damaged tank radio will provide a reduced communication range. Getting back to the visual destruction model – we are not going to provide an extremely wide range of options in order to keep the reasonable size of the client. But still you’ll have a chance to “modify” the exterior of enemy tanks in a number of ways – for instance, by destroying the tracks of the vehicle or even shooting off the turret. Interaction with the environment will be more intense and sophisticated – you’ll have whole villages and town quarters to destroy with buildings, trees, hedges, cars etc. You mention several upgrades available for the tanks. Will it be restricted to functional parts or will players be able to choose their colors and insignias? An average tank will have 2 modifications of turret, 2 variants of chassis, 3 models of engine and 2-6 modifications of the main gun – quite a wide range of options for a keen tank designer. All the upgrades are historically grounded – that means they were either implemented in real life or existed as prototypes. 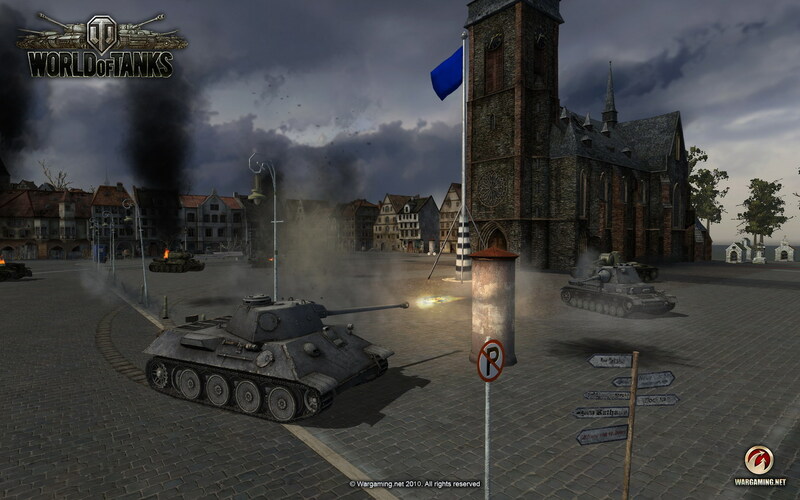 The player will feel free to choose the camouflage color of his tanks – varying from historically accurate ones to some custom variants. However, they won’t be given a full freedom. We will also allow placing some pre-moderated slogans on the hull of vehicles. Pre-moderation is necessary to provide decency of all signatures and to avoid any type of political mottos. Clan and some personal emblems will be available as well. We are also working on some “body art” type of decals. So, some time after the release you’d probably see tiger jaws or other deterrent images on the side of tanks. How do you plan to support World of Tanks? Will there be an item store? We are planning to support and enhance World of Tanks for quite a long time by designing new maps, adding bonus vehicles and introducing new tank nations. We’ll have German, Soviet and American armor in the release version. British, French, Italian and Japanese tanks will be added some time later. All in all there will be around 500 vehicles available in the game. We will not sell separate parts of vehicles that can increase player’s performance characteristics on the battleground as all of them will be obtained during the level up process. However, a premium account one will significantly boost experience growth and provide access to some bonus vehicles. They will be rather exotic medium tanks like Matilda or Churchill that will not give their owner a decisive advantage in battle. What are your expectations for the free-to-play MMO market? Do you see it with a bright future? Well, it’s not an easy question. In videogames people like communicating with their friends and rivals even if this communication goes in the form of sending shells at each other. Interacting with bots – no matter how hard developers worked on the AI – is not an extremely fascinating thing. Playing shoulder to shoulder with real people is much more captivating as it always implies risk, adrenaline and some surprise turnarounds. We see the future of free-to-play MMO games in bright colors as they form a “fair” relationship between developers and their customers. When you buy a boxed copy of a game or download it for *$ you don’t know how good that game is. It may have stunning graphics, vibrant music but not just your cup of tea gameplay-wise. With free-to-play titles the situation is different: you test the game for unlimited time and then – if it’s to your liking – you can support the game by obtaining a premium account or investing money into some bonus content.